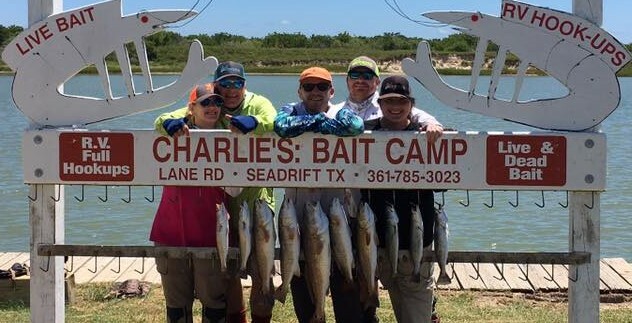 If you enjoy fishing the Coastal Bend you must watch this video. AUSTIN – Many Texans opt outside to reconnect with nature after a long winter, but spring break adventures aren’t limited to swimming, camping and hiking. 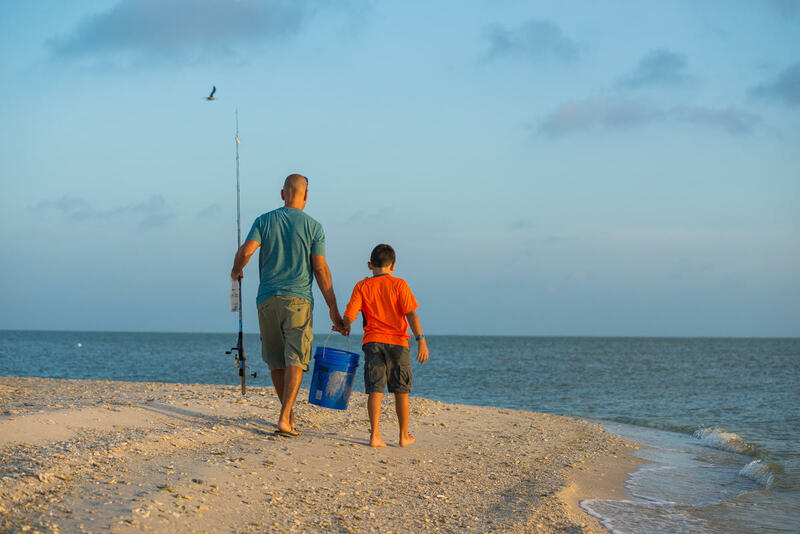 Fishing also offers a great way for families to experience the diverse aquatic life and scenic places that Texas has to offer. Learn the basics at a fishing class: More than a dozen Texas State Parks and other locations around the state are offering beginner fishing classes throughout March to help anglers learn the fundamentals of fishing and give them an opportunity to catch a fish. 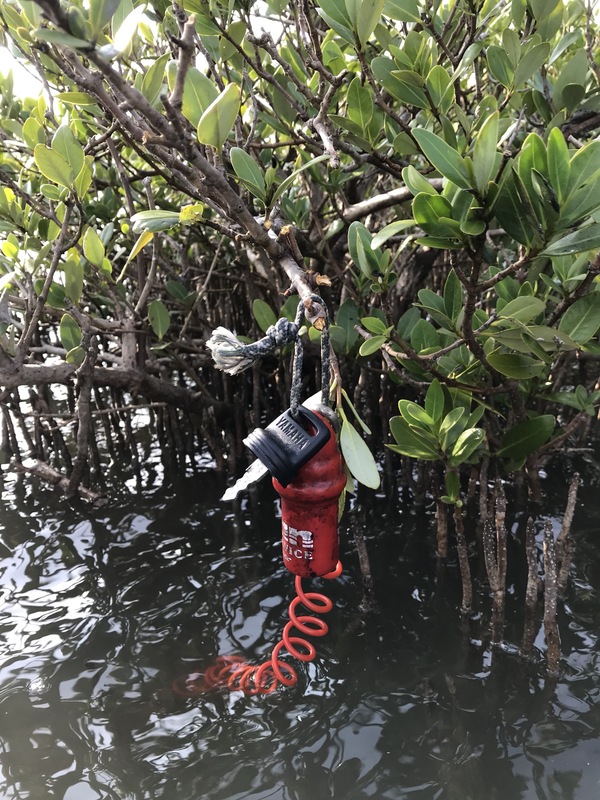 Fishing poles and bait are available for families to borrow for the day at many locations, and no fishing license is needed to fish in a state park. Find a full list of events, details and maps and directions in the Texas Parks and Wildlife Department’s Fishing Events Calendar online. Go kayak fishing on the Texas coast: The newest coastal paddling trail, the Seadrift Paddling Trail, features 20 miles of freshwater and saltwater paddling from the Guadalupe River to San Antonio Bay. Anglers can find prime red drum and spotted seatrout fishing opportunities along this scenic float, along with wildlife watching opportunities for Atlantic bottlenose dolphins and a variety of shorebirds and migratory birds. Kayak and canoe rentals are available in nearby Victoria. Eight other coastal paddling trails can be found on the Texas Paddling Trails website. Catch your first fish at the Texas Freshwater Fisheries Center: The Texas Freshwater Fisheries Center, located about an hour drive from Tyler and Dallas and less than two hours from Fort Worth and Waco, offers several stocked fishing ponds, ample fishing loaner equipment, a full production hatchery and a vast array of aquatic exhibits to explore. After catching catfish and rainbow trout in the fishing ponds, spring breakers can see other interesting creatures like paddlefish and American alligators, watch a live fish-feeding dive show, and take a narrated tram tour through the outdoor hatchery facility. Experience the spring white bass run: White bass provide anglers of all experience levels with exciting action during their annual spring spawning migration up river and stream tributaries. The best time for white bass fishing is usually in March, but with the recent cold snap anglers should look for areas where the water temperature has reached at least 54 degrees, or where the redbuds or dogwoods are blooming. In East Texas, anglers can try Chandler River Park on the Neches River or the Grand Bluff Boat Ramp on the Sabine River for white bass fishing access. Central Texas locations can be found in the TPWD publication White Bass Fishing In Central Texas. Visit marine life at Sea Center Texas: At Sea Center Texas in Lake Jackson, visitors can explore aquaria and exhibits of Texas marine life, the largest redfish hatchery in the world, 36 one-acre fish culture ponds, an outdoor wetland exhibit and a youth fishing pond. A 20-foot touch pool allows visitors to gently touch marine animals such as blue crabs, hermit crabs, stone crabs, snails and even anemones. On April 6, families can attend the free Kids Reel Big Fish Event to learn how to catch and release fish and get a free fishing pole (limited to the first 100 kids). Fish for rainbow trout in East Texas: In Texas, cold-water loving rainbow trout can’t survive past the winter. Spring breakers can harvest the last of the year’s stocked rainbow trout for free 8 a.m. to 12 p.m March 11-14 at the Tyler Nature Center in East Texas. 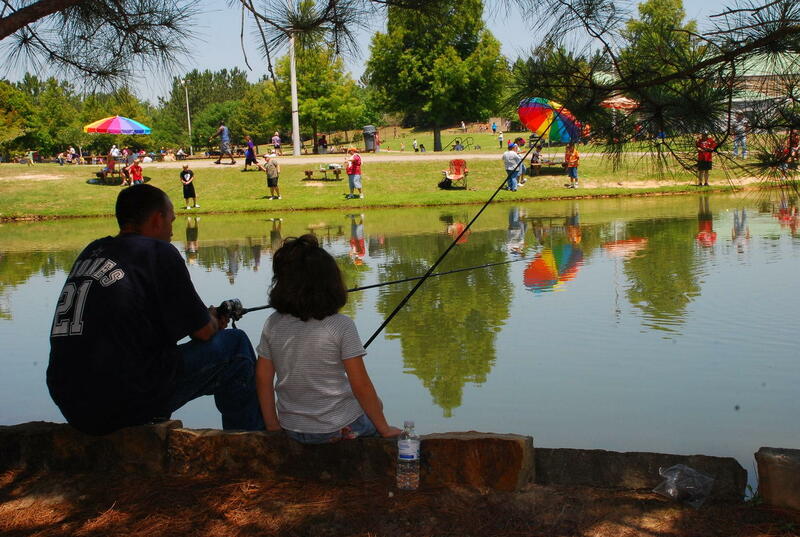 TPWD Inland Fisheries staff will have loaner equipment, tackle and bait on hand to help families catch and clean up to five rainbow trout each at the free event. 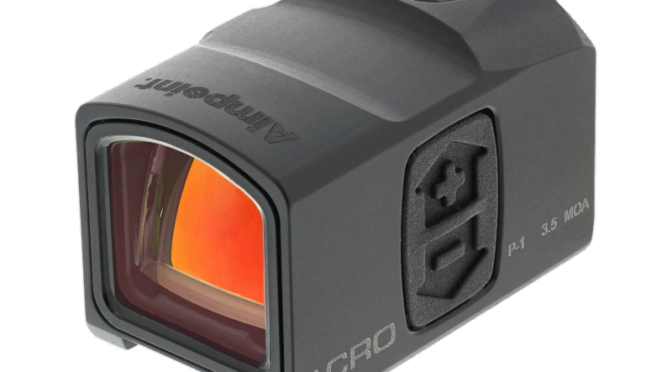 No fishing license is needed to participate. 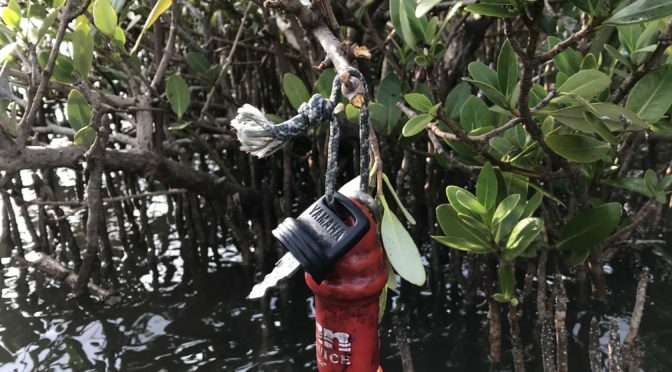 After spending the morning on the water fishing, anglers are encouraged to put on their hiking shoes and explore the nearby scenic outdoor hiking trails. Catch and cook a crappie: Crappie are a delicious and popular sport fish that are easiest to catch in the spring when they move to shallow water in preparation to spawn. At Granger Lake, north of Austin, the U.S. Army Corps of Engineers operates four parks that provide campgrounds, restrooms, picnic areas, boat ramps, and opportunities for shoreline fishing on this reservoir. Other popular crappie lakes include Lake Fork, Toledo Bend Reservoir and Sam Rayburn Reservoir. Target the state fish of Texas: Guadalupe bass, the state fish of Texas, can be found in the rocky, spring-fed rivers of the Texas Hill country. 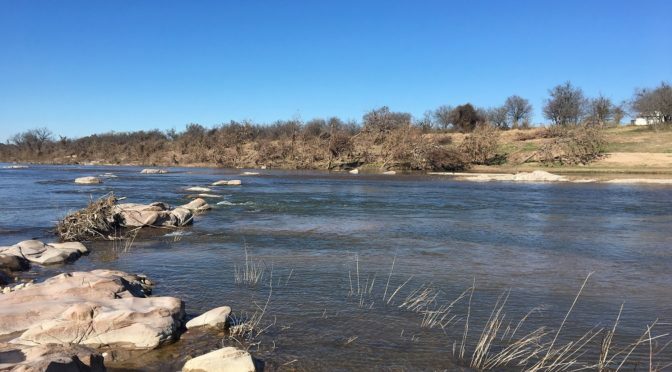 Anglers can find public fishing access, kayak and canoe launches and other amenities on several of the rivers that Guadalupe bass call home, including three sites on the Colorado River, two sites on the Brazos River, and four sites on the Llano River. 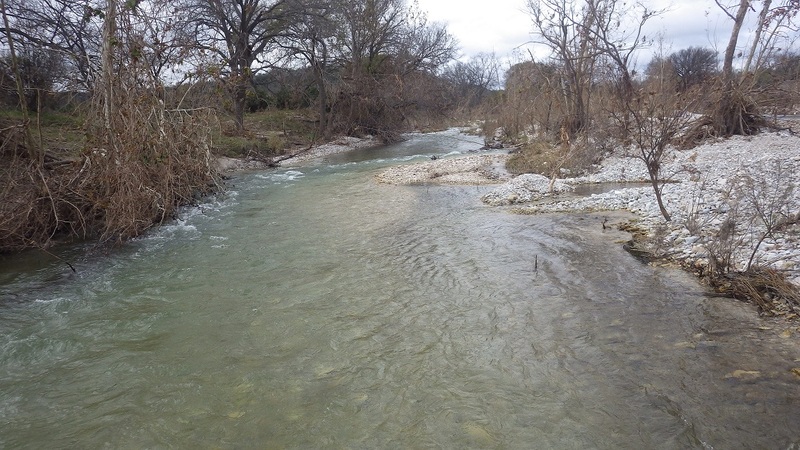 A list of all of the public fishing access sites, along with details and directions, can be found on the TPWD River Access and Conservation Area Program website. Tour a Texas state fish hatchery: Anglers and future fisheries biologists can see first-hand where millions of fish are raised each year for stocking into the public waters of Texas at five inland fish hatcheries located across the state and three saltwater fish hatcheries on the Texas coast. Many of the hatcheries welcome the public to come and visit their educational and informative facilities through scheduled tours or by appointment. Learn more on the Texas State Fish Hatcheries website. Catch a big bass in West Texas: In Texas, March is considered one of the best months to catch a whopper bass. With recent rainfall, many West Texas lakes have higher water levels and are producing “lunker” bass for anglers, including Oak Creek Reservoir, O.H. Ivie Lake, Twin Buttes Reservoir and Lake Amistad, to name a few. Pick a fishing spot in the TPWD Angler’s Guide to West Texas online, and find detailed fishing regulations, angling opportunities, cover & structure, and tips & tactics for it in the Texas Freshwater Lakes list. For anglers over 17 years old, a valid fishing license with a freshwater or saltwater endorsement is required to take fish, mussels, clams, crayfish or other aquatic life in the public waters of Texas. A fishing license is not required if fishing from the bank in a state park or in waters completely enclosed by a state park. More information on current fishing regulations, limits and license requirements can be found online in the TPWD Outdoor Annual, or get the mobile app free for iOS and Android here. 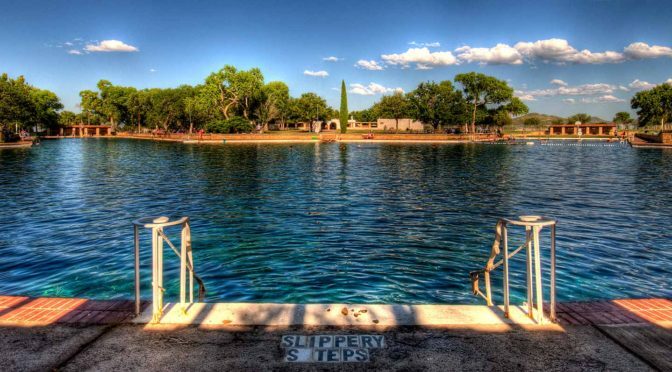 Texas Parks and Wildlife Foundation (TPWF) has established a fund to raise $2 million for pool repairs at Balmorhea State Park. Apache Corporation is providing a challenge grant and will match gifts up to $1 million. The iconic spring-fed pool at Balmorhea State Park in West Texas has been closed since early May after part of the structure collapsed during the pool’s annual cleaning. Texas Parks and Wildlife Department (TPWD) announced in a press release last week that repairs to the historic pool are set to begin. The labor-intensive job will repair the damage to the concrete apron used to stabilize the diving board along the east headwall. TPWD reports that months of thorough evaluation, including extensive geotechnical examination, found that the structural failure was due to years of undermining erosion behind the wall caused by the flow of water from the springs. “Apache is proud to partner with Texas Parks and Wildlife Foundation to support one of Texas’s most treasured destinations. This public-private partnership will ensure this unique natural treasure remains an iconic part of our community for many years to come,” said Apache Chief Executive Officer and President John J. Christmann IV. Raising private funds for this project will allow available state funding to be used for other critical repair needs across the state park system. State park facilities throughout the state have been hit hard by Hurricane Harvey in 2017 and devastating floods in recent years. The Civilian Conservation Corps structure was built in the mid-1930s and is the world’s largest spring-fed swimming pool. More than 15 million gallons of water flow through the pool each day, gushing from the San Solomon Springs. The 1.3-acre pool is up to 25 feet deep, holds 3.5 million gallons of water and the water temperature stays at 72 to 76 degrees year-round. BCT @ccabct and @cca_texas have a strong partnership. 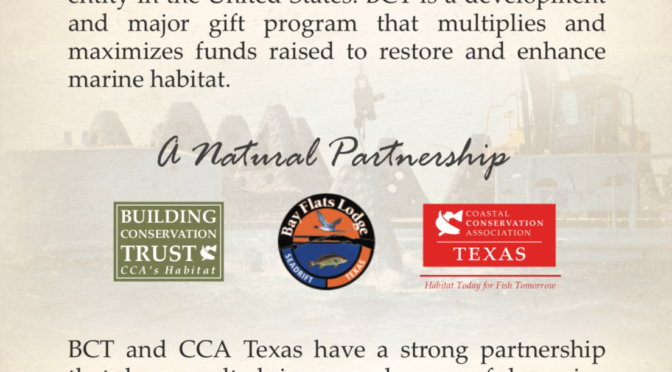 Bay Flats Lodge @bay_flats_lodge is extremely excited to be involved in raising funds to restore and enhance marine habitat. Together, these three groups are enhancing marine life from Matagorda Bay to Rockport that will be appreciated and enjoyed by the local community for many generations to come. 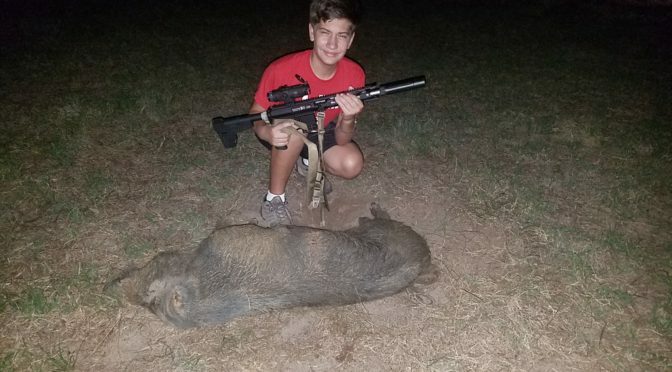 Had a great time out with my son David..
Smoked a nice one with a suppressed 6.8 SPC and Trijicon REAP-IR Thermal scope!